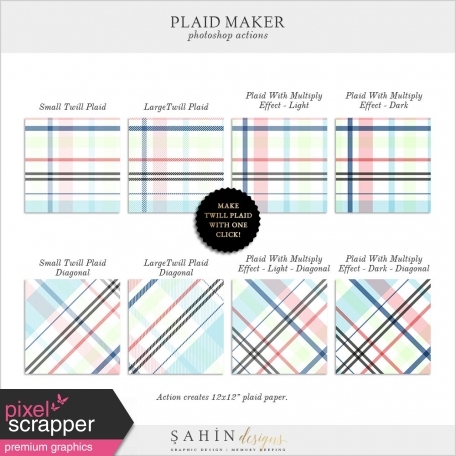 I love plaids but have trouble using templates purchased for making them. Hoping I have better luck with an action! :) Thank you. love plaid...can't wait to try this! Thanks! So fun! I super love the twill plaid! Thanks so much! 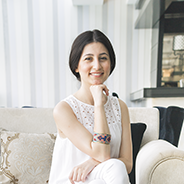 An excellent resource thank you! Just one thing... It sure would be nice to search on ATN or CSH or ASL, etc. It is still difficult to find Photoshop resources. Or I should say, I find some, but am never sure if I found all of them. mmmmmmmm! I plan to try these out today, health permitting. I have used lots of styles and actions from many sources, and you are as good as the very best. Or maybe a few others are as good as you! Excellent idea, wonderful execution! Thank you very much - not only for the action but also a video tutorial. This is awesome! 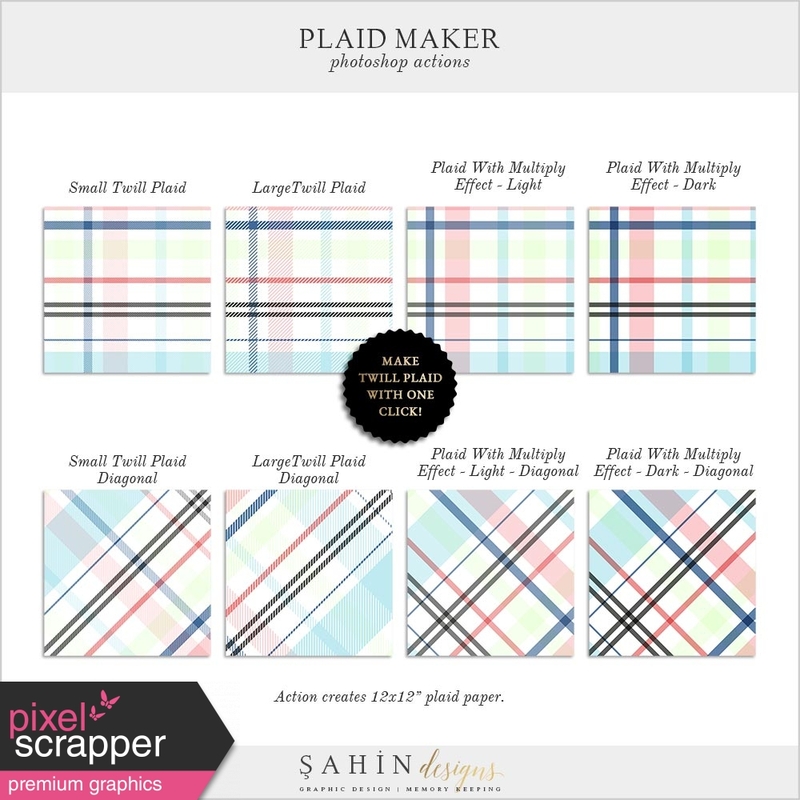 Photoshop plaid maker actions are great tools to easily make twill plaid and plaid with multiply effect. Actions created 12x12 inch plaid paper. 1 Small twill plaid, 1 large twill plaid, 1 light multiply plaid and 1 dark multiply plaid with strait and diagonal versions included in the pack. Installations instructions included in the zip file. You can also watch the tutorial below to learn how you can use these actions.